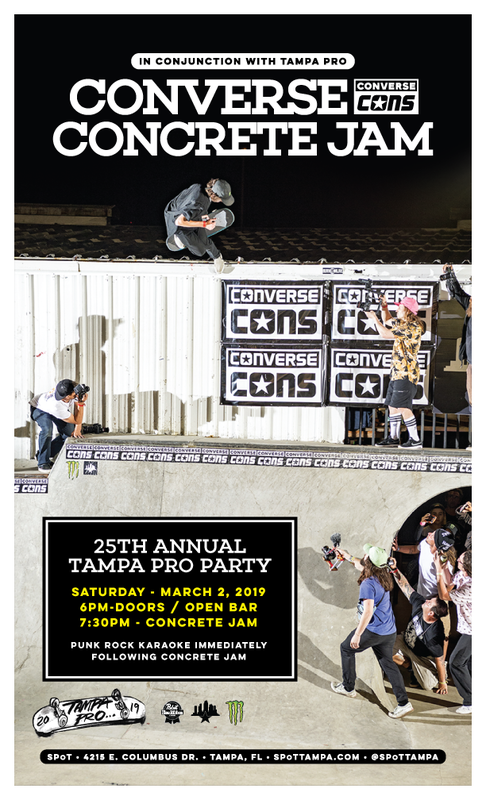 This has become an annual tradition at Tampa Am & Pro, after Converse helped us build an epic outdoor concrete course back in 2014. Since then, we've witnessed some of the gnarliest tricks and slams in SPoT history and it's only going to get better. 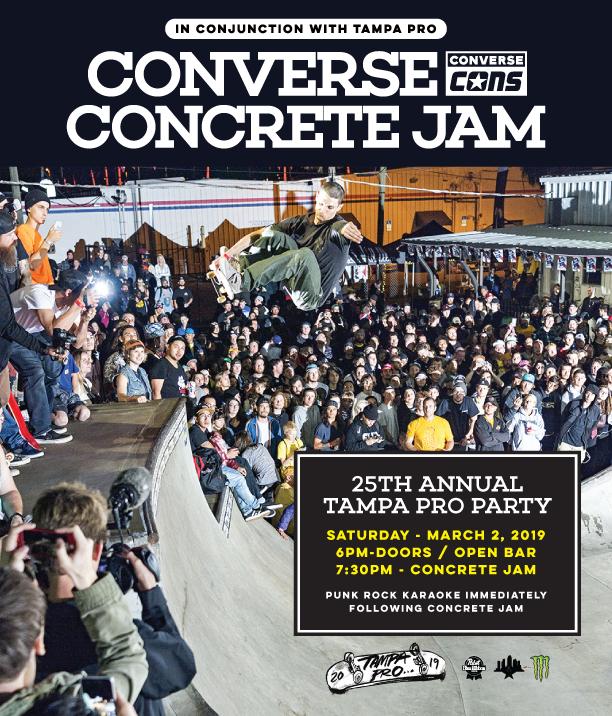 Check out some coverage of last year's Concrete Jam and stay tuned for more details and surprises as we add them here. We know you're on social media as much as we are, so here's an image you can use to help hype up the contest. We'll have photo and video coverage @SPoTTampa. Tag #TampaPro #Converse and #SPoTTampa on Insta and Twitter and we'll have a crazy collection of characters from the weekend.